It’s a simple family law truth spoken plainly: Children can make a divorce much more difficult, expensive, and painful. This is true financially and emotionally and there is just no getting around this simple and complicating fact. 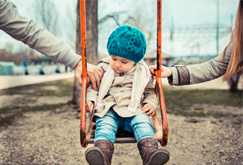 For the purposes of this discussion, We’ll be focusing solely on certain financial impacts that couples with children generally will experience during and following their divorce in the State of New Jersey. We’ll talk about custody and parenting time another day. N ew Jersey is a State that places a high value on the rights of children. In fact, New Jersey is in an extreme minority of States which actually hold that a child of divorced parents actually has a legal right to a college education and that the divorced parents of that child will in general always be held to have at least some form of financial obligation to help that child obtain said college education. This legal theory goes back to the late 1800’s and really got its strongest footing in 1992 with the case of Newburgh v. Arrigo, which established that financially capable parents should be required to bear a portion of the costs of the college education of their adult children. Although this case has been followed and modified by such matters as Finger v. Zen and, recently, Black v. Black, the principle remains the same. In some cases, if the parents are deemed by the court to have sufficient means, an adult “child” may be able to force divorced parents to pay their college expenses even up through law or medical school. The court may even require parents to cosign loans or dig into their retirement assets, even to sell properties so that they can fund the education of their college age children. No, that was not a typo and you are not seeing things. In the State of New Jersey, divorced parents may be legally forced to pay the expenses of an adult “child” who is attending law or medical school by way of liquidating their retirement assets and sale of their property. One of the parents may also be required to also pay child support ON TOP OF their college contribution. Again, that is not a typo. So how can someone both have to pay child support and also have to contribute to college? Well, it’s complicated and it’s the result of a long series of legal decisions in the State of New Jersey addressing the rights and obligations of divorced parents with regard to their children. The base payment amount on the number of “overnights” each parent has with the child or children each year. The Guidelines are to be used for parents who do not exceed a certain income level but who are not below the poverty level for a family of their size either. The real complications as to child support and college expenses arise when a child begins to attend college full-time following graduation from high school. how much, if any, child support should be paid to or for the child who is now attending college. Depending on the circumstances, the Guidelines may or may not be used, the child may or may not receive direct payments from one or both parents, and the obligations of one or both parents may or may not be extended beyond Undergraduate school. The process can be emotionally and financially draining and can squander precious resources on litigation which otherwise could simply have gone to the child instead of lawyers. If you are divorced and have a child or children who are getting ready to or who will in the future be attending college, consulting with an experienced family law attorney who understands the nuances of law about your potential obligations as you move forward is something that should be strongly considered. An ounce of prevention and a reasonable plan or offer that keeps you and the ex focused on what is best for your children and what each of you can realistically do as opposed to spending thousands of dollars on lawyers in the courtroom is always preferable to just “letting the lawyers handle it” and allowing a third party judge make a decision for you. At Simoni Law Office, we offer confidential, non-obligation consultations on this and any other family law issue. Feel free to contact us at your convenience. Our friendly staff can set up an appointment for you to come in at a convenient time for you so that you can discuss your potential rights and obligations when it comes time for your children to begin the next chapter in their lives.